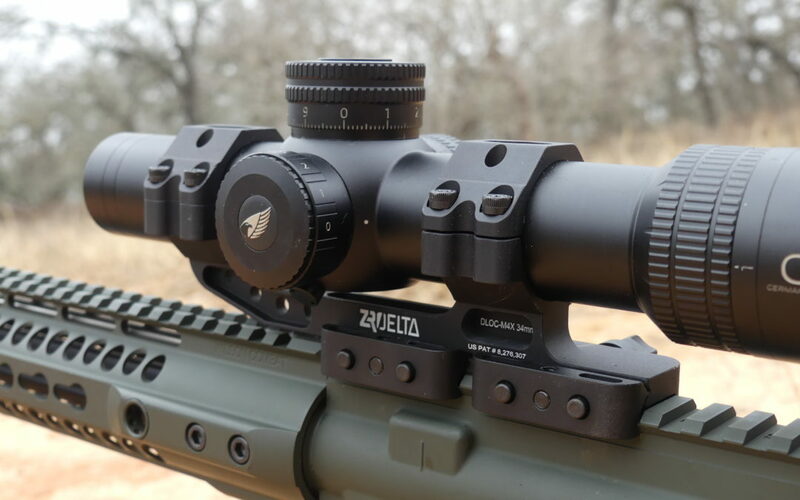 The ZRODelta DLOC-M4 34mm optic mount is designed to securely mount your scope on an AR platform. 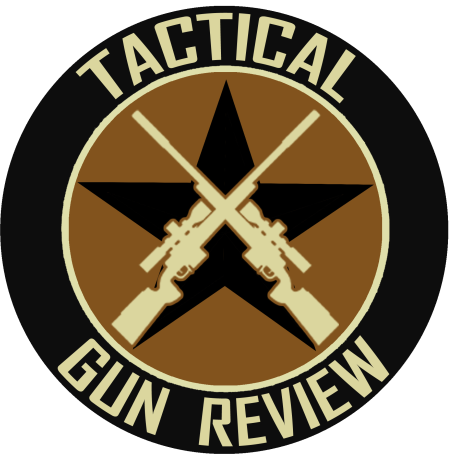 It places the centerline of the optic at the same height as traditional iron sights for to quickly align with your eye. Being a cantilever design it also allows for the proper eye relief. Of course, there are many optic mounts that do the same thing. What sets this one apart from the rest? 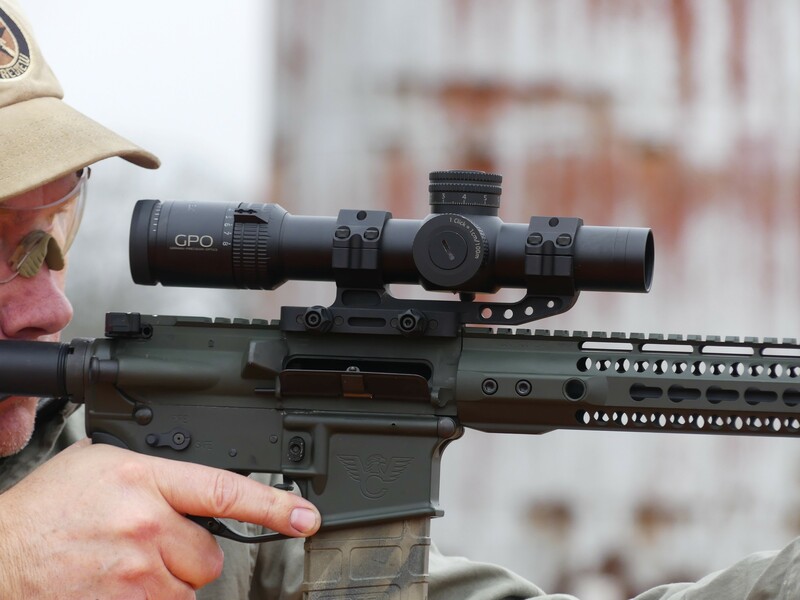 16 engagement points and 6 recoil lugs that interface with the rail of the rifle provide more surface area contact than any other mount on the market. This ensures a solid, zero movement “lock” to the gun. Additionally, it is a tool less design with two spring loaded knurled knobs that allow you to finger tighten the mount. What is really clever is that even with the knob as loose as it will get (and it is a “retained” design so the knobs will not come off) you still have a very, very solid mount and you can even pick the gun up by the scope with the mount loose. It’s a very smart way to do it and it works. Of course, if you need to remove the optic you want to be able to put it back on the rifle and have it retain your zero. I have tested this extensively and it absolutely holds zero. The ZRODelta DLOC-M4 34mm mount is a very well designed and made mount. 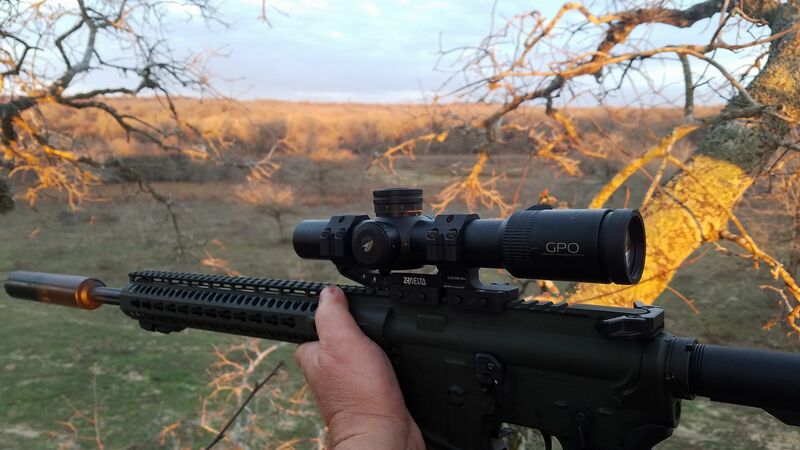 I have a 30mm mount I have been using for several years on my 6.8 SPC that gets abused out hunting and swapped with thermal all the time and it has held up and I am not the nicest guy with my gear, Stuff gets thrown around, dropped, in the mud, in the sand and in the rocks. I have confidence that when I go to make a shot it will be a good one.